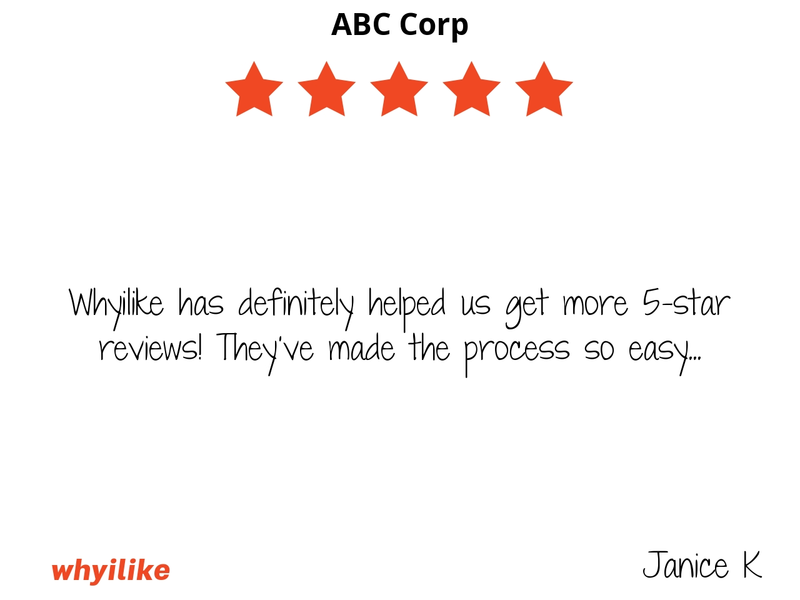 whyilike is the marketing company for your positive reviews. We help you get new reviews while boosting your local SEO. In today's economy, reviews are the secret ingredient in helping your business win new customers! Let whyilike help your business grow. 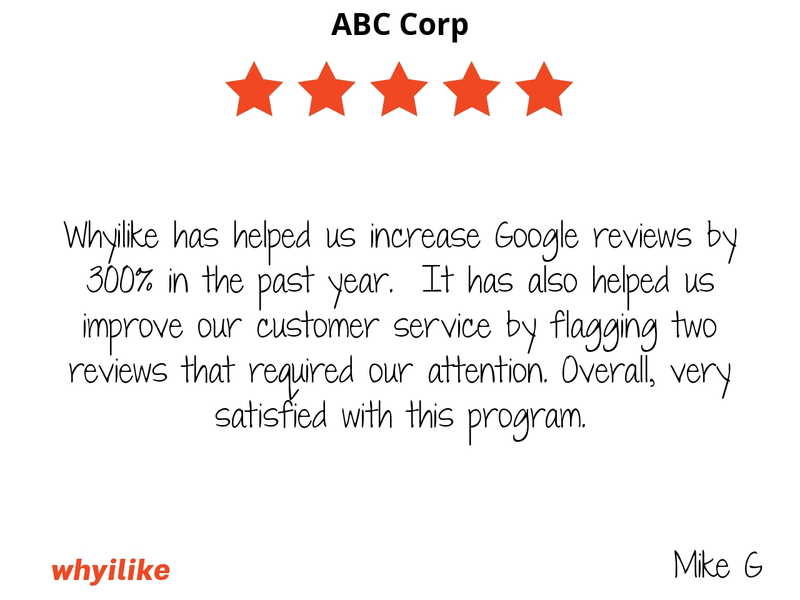 Whyilike has helped us increase Google reviews by 300% in the past year. It has also helped us improve our customer service by flagging two reviews that required our attention. Overall, very satisfied with this program. My experience with Whyilike deserves more stars than Google allows! Their customer service was available, professional, and helpful. The system is effective and perfect for my small business needs. 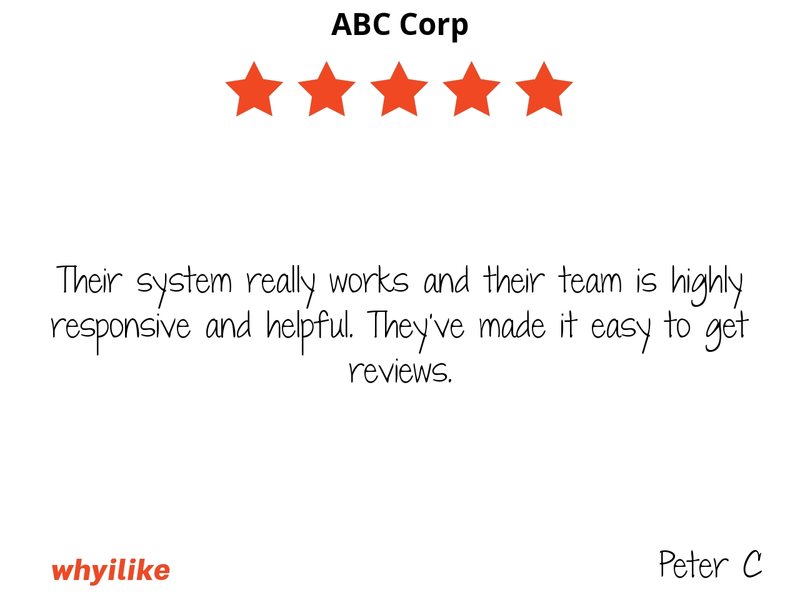 Their system really works and their team is highly responsive and helpful. They've made it easy to get reviews. Our sales increased by 20% in the first month after using whyilike on our e-commerce store. 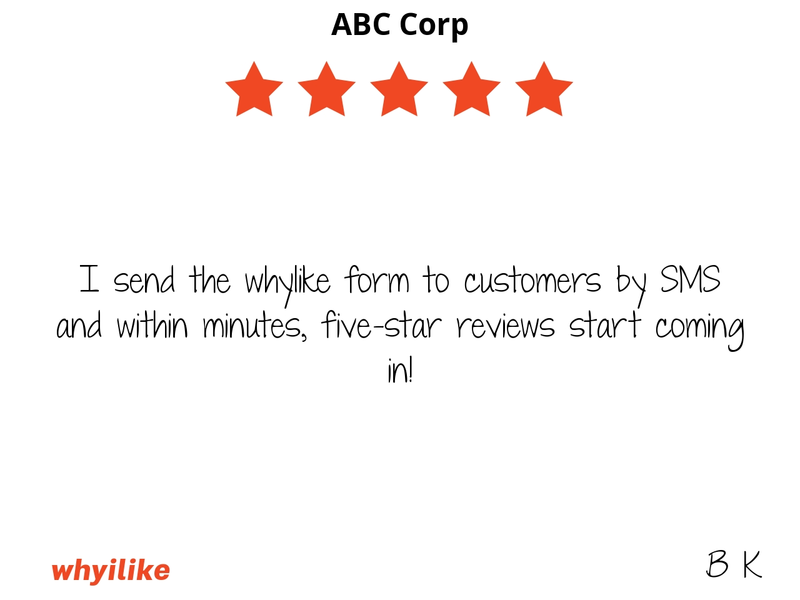 I send the whylike form to customers by SMS and within minutes, five-star reviews start coming in! 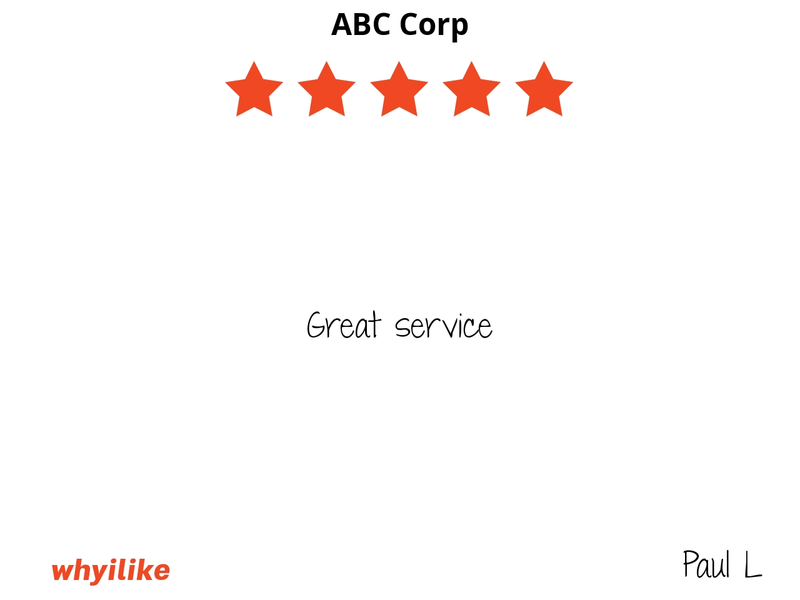 Our new customers mention how they read our reviews. 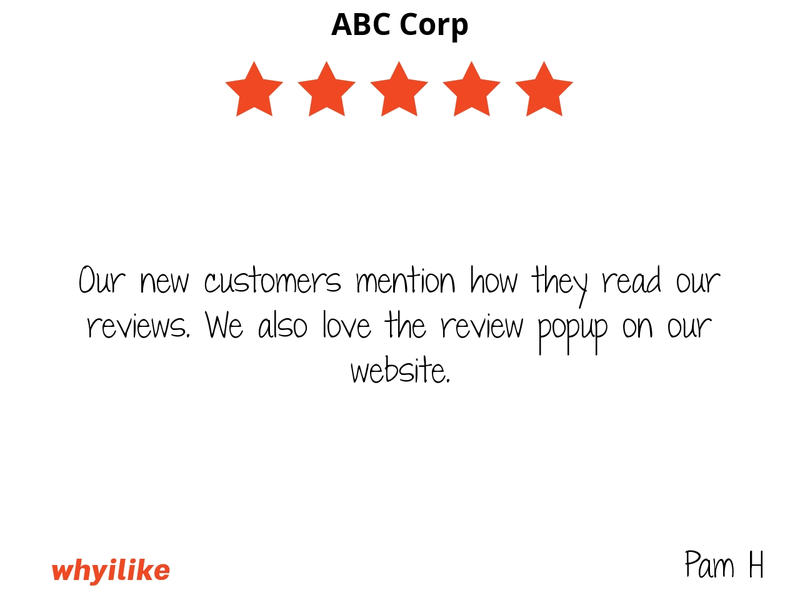 We also love the review popup on our website. 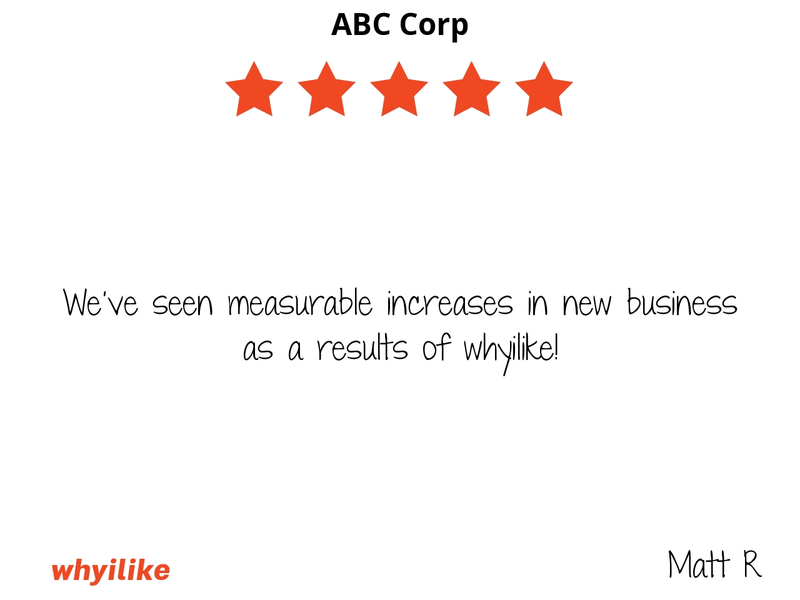 We've seen measurable increases in new business as a results of whyilike! 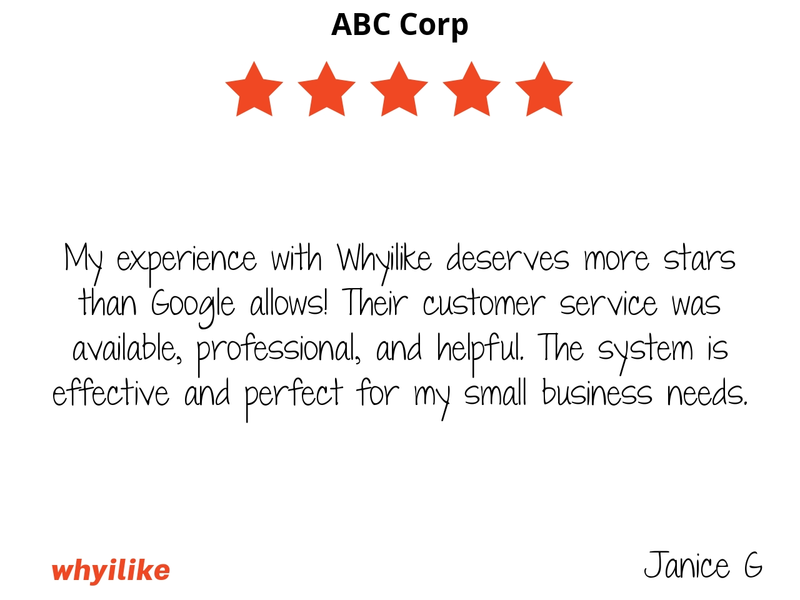 Whyilike is the best review service for small and medium businesses. I like that they focus on the positive customer experience.